Secrets to healthier hair this summer! If there's anything that worries us the most about summers, it's our skin and hair care. The harmful UV-rays are visualised as the biggest enemy which are constantly at war with our hair and skin! In today's post I would like to focus on a few basic hair care tips which I'll be following this season and as it is said "Knowledge increases by sharing not by saving"; I decided to share these tips with all my readers! You must be like-"Isn't that obvious?" but one must remember that if basics go wrong, nothing can be right. 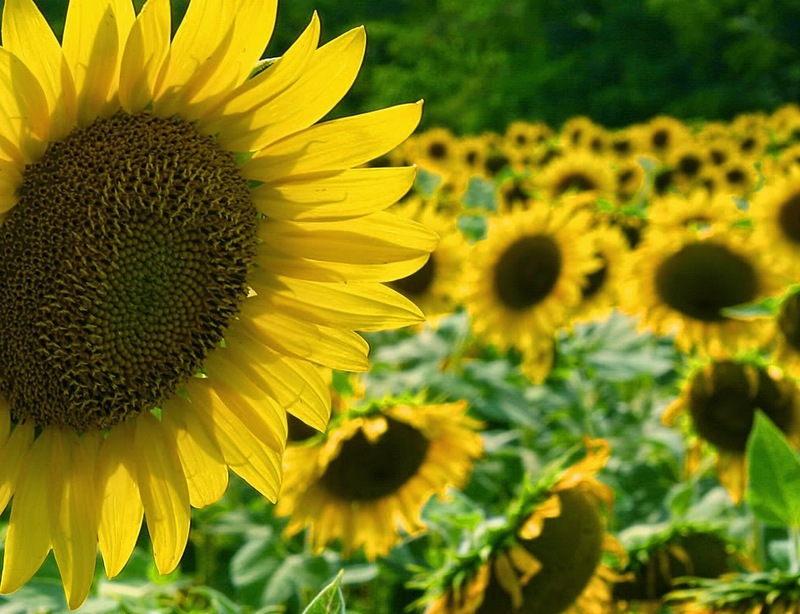 Sunflower or Helianthus annuus, is an all-natural UV protectant that’s great for adding softness to the hair. The oil of sunflower also acts as an emollient, providing much needed moisture for the hair in summer, and is actually able to lock in that moisture.Therefore it is essential to use a shampoo with sunflower as one of the ingredients to beat the heat. A leave-in conditioner is more of your dream detangler -- your frizz hero -- and it can pack an extra punch of moisture to yield healthy hair. So, the next time you are on your way to the beach or poolside, don't forget to take it with you. Before lounging in the sun, just apply it on your tresses, leave them open or tie up a messy bun and enjoy! This will protect the hair from the dust, chlorinated water, salt etc. I need to get hold of a leave-in conditioner very soon! Healthy hair starts at the scalp. Over the years I've made it a habit never to step out in the scorching heat without a hat or scarf. The heat can damage your scalp to a great extent and leave it inadequately nourished. Head gears provide your scalp extra UV-protection. And what's more, hats and head scarves never go out of fashion! Be it a busy day out or a nice dip in the pool, it's a good idea to wash your hair right after exposure. Using a shampoo is not necessary every time, a cool shower is more than enough. You can carry on with your shampoo and conditioning routine as you wish but it's recommended to cut back on frequent shampooing in this season. Make use of the hot sun and let your hair dry naturally without the assistance of hair blowers so as to let it retain its moisture. To bring the shine and life of the hair back, oil massage is the best solution. Coconut oil, sunflower oil or olive oil- you can choose any of these and try and give yourself a few relaxed hours by massaging your scalp and if possible pampering yourself with a hair steam treatment after the massage. The best alternative to a stem treatment in using a hot towel. This will certainly rejuvenate the scalp and your hair will instantly feel silkier and stronger. These are some very basic tips to beat the heat this season. A healthy diet and drinking lots of water obviously goes on top of the list when it comes to either hair care or skin care. I will try my best to follow these steps regularly, hope you'll do the same!